Is Your Diet The Cause Of Your Brain Fog? Confusion, lack of attention and lack of motivation can all be symptoms of brain fog. It’s not something a person hopes to get, and not being able to concentrate or even remember information has a way of lowering your confidence, too. And the first area to look at when trying to determine why you’re struggling with brain fog is your diet. After all, you may be consuming all of the right foods (you know – leafy green kale, spinach, and fruit), but this doesn’t mean your diet is spot on. Even nutritionists can’t predict what food allergies may present themselves. 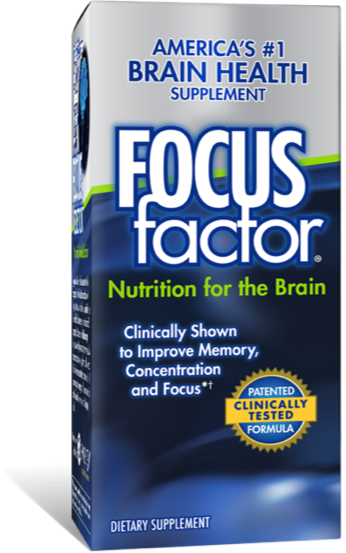 In short, it can be something in your diet that is lacking or present that is causing your brain fog. Let’s take a look at a few factors in your diet that can be causing the dreaded fog. What are you eating? Most people grab for the delicious foods that they love – frozen pizzas or TV dinners with delicious brownies come to mind – and they never take a second to look at the ingredients. Aspartame: The chemically-made sweetener that is used as a substitute in a lot of foods. Aspartame is simply filled with brain-fogging chemicals, such as methanol and aspartic acid. MSG: A neurotoxin found in processed foods. MSG is known for being in salty foods, and the worst part is that this neurotoxin can be listed as a “seasoning” or a “natural flavor.” Even those healthy, bad-tasting veggie burgers have MSG. Sucralose: Sucralose is another “sugar” that is combined with chlorine of all things. This ingredient can cause headaches, depression, anxiety and even dizziness. Moral of the story: eat fresh, good-for-you foods, and read food labels. If something seems amiss, opt for something that clearly lists all of the ingredients included. I get it. You have the choice between water, a hot cup of rose tea and southern sweet tea: why in the world would you choose water? Water is the plain Jane in the room, and you figure there is water in most liquids anyway. But all of that sugar will lead to further dehydration. And don’t get me started on soda and other liquids that can peel paint off a car. You need to drink 8 cups of water per day. I know, it sounds like such a chore, but it’s far easier than what your fog-filled brain is telling you. During each of your 3 meals. Now, all you need to do is drink three more cups of water somewhere in between, and you’re good to go. You see, the water that you’re reluctant to drink, because no one wants to run to the bathroom every ten minutes, accounts for 75% of your brain. Since the brain is 75% water by volume, even slight dehydration will cause you to not be able to focus and function properly. Studies show a 2% dehydration level will cause a drop in memory, attention and cognitive skills. Food allergies are tricky, because they may not cause rashes or close your throat like peanut allergies can. Oftentimes, these allergies are rather mild and will happen internally, so you never know they’re present. And again, some allergies are apparent, while others mask themselves as a headache or brain fog. What do you do if you suspect you have a food allergy? The biggest issue is avoiding these foods. You may eat canned fruit and think that it’s pineapple causing your symptoms, but in truth, this may be caused by the additives in the syrup. Food journaling, elimination and then slow reintroduction will allow you to narrow down the list of foods causing your brain fog. What in the world is “wheat brain?” This is a question I asked, too. I thought this was another quack explanation for brain fog from the likes of Doctor Oz., who is always trying to push a new “problem” and “cure” on people. I still have friends that think they’ll lose 10 pounds after a week of drinking a certain tea. But wheat brain does have more of a scientific background. Wheat – or gluten – is the problem. Humans used to have to hunt for food, and our diets weren’t filled with wheat and processed foods. While medicine today may be much more advanced and allows people to live a heck of a lot longer, the foods we eat are causing immense health issues. And the Mayo Clinic linked celiac disease and dementia to gluten. Celiac disease is triggered by gluten, and wheat contains gluten. A book called Wheat Belly by Dr. William Davis goes into the logistics. The book discusses the new way that people eat with gobs of wheat in their diet and what it’s doing to our health in general. The book also goes into the brain fog element. And the wheat today is a lot different than the wheat of the past. Gluten itself is a protein and causes dough to be “stretchy.” This is the protein that allows for chefs to stretch the dough for pizza, breads and other delicious treats. I know, it’s a shame because bread is so good, but it may also be a brain fog contributor. Cutting out (or down) on wheat is ideal. And if you cut it out immediately and go cold turkey, expect to suffer from withdrawal symptoms. See, the gluten-free movement may have some strong backing behind it after all. People get a ton of sugar in their diet (this is an issue, too), but people also lack in a myriad of vitamins. There are people with Vitamin D deficiencies, and the funny thing is that the sun gives you Vitamin D – you don’t even need to eat a thing. A lack or deficiency of vitamins, minerals and nutrients causes your brain to not have the fuel it needs to function properly. And the list can go on and on. When the brain doesn’t have the nutrients it needs to function properly, it does its best to compensate. The brain is resilient, but it will suffer from brain fog if you don’t correct the issue quickly. I’m not going to tell you to eat 4 cups of fruit a day or something unrealistic. Instead, take a highly-rated multivitamin. You may urinate excess nutrients that will make your urine fluorescent, but your body will absorb the nutrients it needs, leaving you with less brain fog in the process.